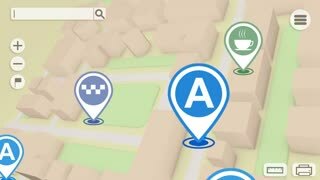 Search Results for "map path"
Concept animation of 3d gps map navigation with 3d blocks and marks signs with hotel, shop, fuel, etc in a city. Tracking gps path map. Seamless loop. 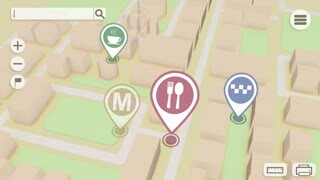 Concept animation of 3d gps map navigation with 3d blocks and marks signs with hotel, shop, fuel, etc in the city. Tracking gps path map. Seamless loop. Finger on a map pointing out and planning a trekking path on a map, Close up shot following the finger. Exploring and travelling concept. 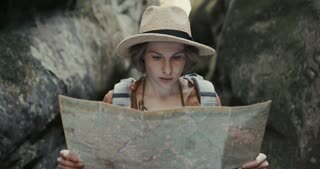 Tourist with a backpack sits in the forest and uses an electronic map on his phone, checks the route on a paper map and looks at the path using GPS on his smartphone. An illustrated map shows a man's plotted path from Antwerp to Africa, and trucks arrive by freighter to help him and his wife make the trip in 1936. A tourist woman in a night city is plotting a path along the map. 1970s: Sign for Big Oak Trail. Map at entrance to trail. Path for trail. Three people on lake shore fishing. Speedboat rides across lake.